Everyone’s favourite. An extreme rarity, migrating to Britain from Africa. 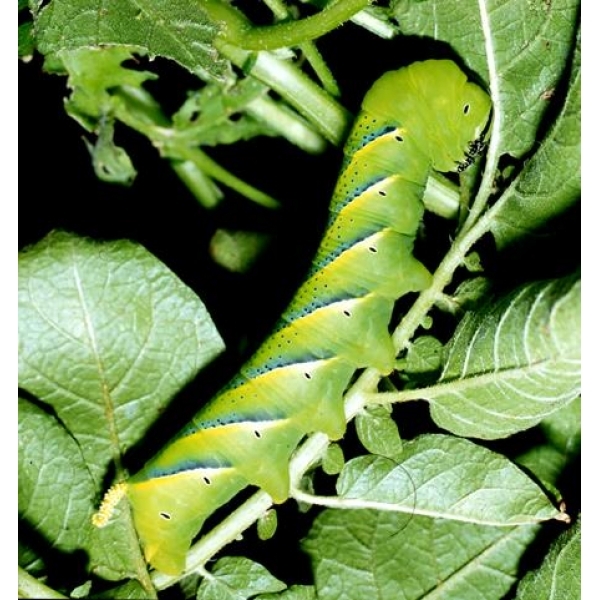 Occasionally the larvae are found in potato fields but that’s if you are lucky and these days with modern machinery the chances of larvae being found are even more remote. 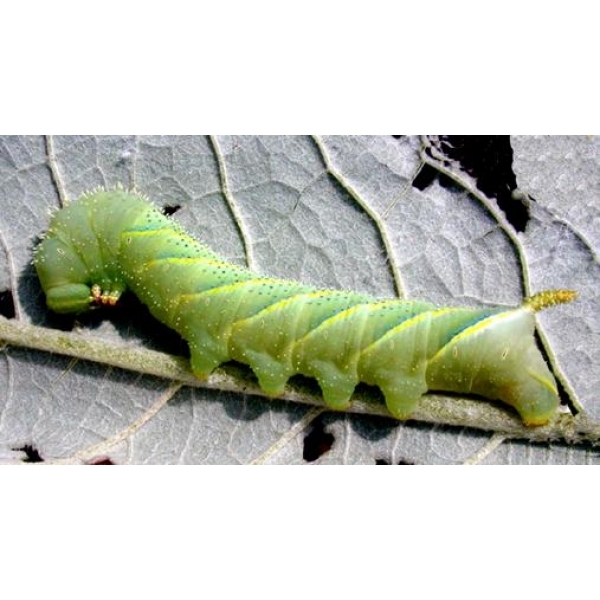 The larvae feed on many plants in the potato family, Solanaceae, but you don’t have to have these to keep the larvae: they do well on Privet. They have also been found feeding on Buddleia, resulting in a pale coloured larva that matches the leaves. 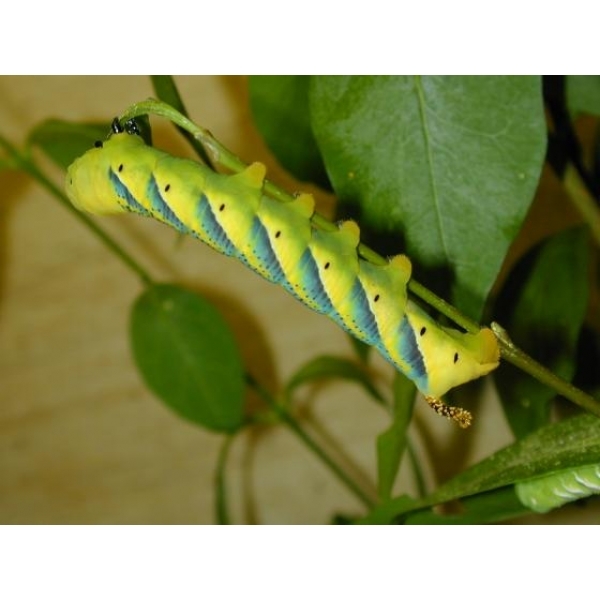 The duration of the egg stage is just a few days, and the larvae grow probably twice as fast as our native hawkmoth larvae, completing their life cycle in as little as 4-6 weeks in summer temperatures. 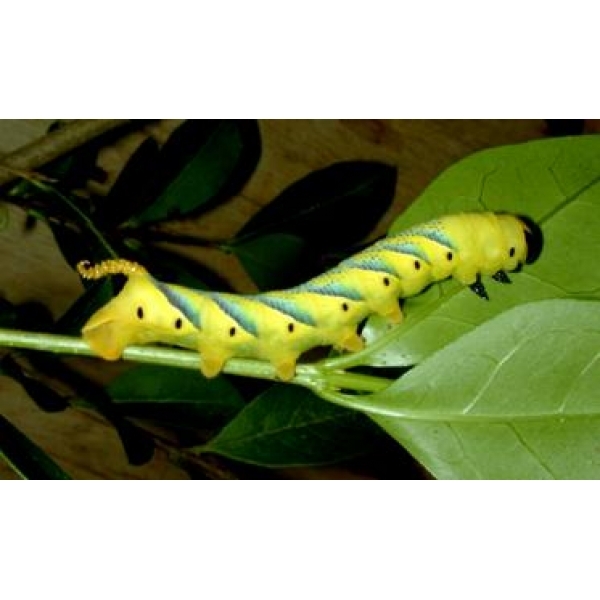 These larvae will produce another generation of moths within weeks of pupation, but you can keep them cool in the winter months, and have them emerge in spring. The moth is just amazing to have alive on your hand! It is furry, and squeaks – almost like handling a little mammal. It also humps its back and displays the blue markings on the body, as well as the famous skull and crossbones on the thorax. The moth needs to feed, not from flowers but from a pad soaked in weak honey or sugar solution. 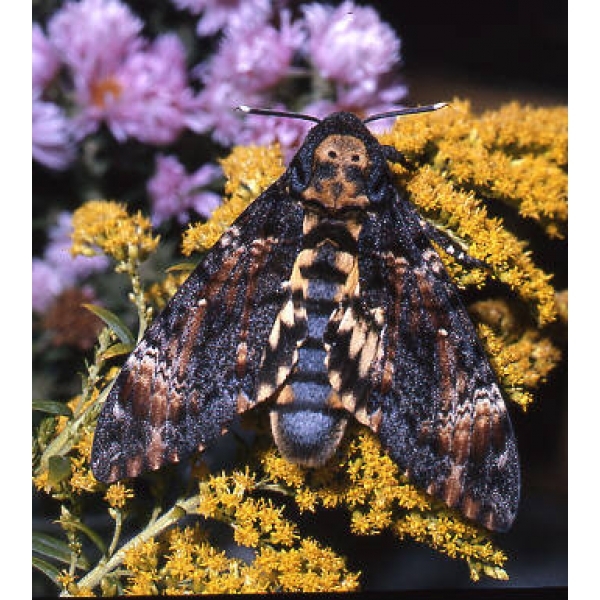 Moths have been found inside beehives, attracted by the sweet smell of honey. 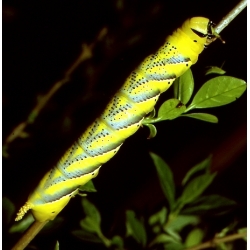 In summer, the pupae will emerge within about 4 weeks. 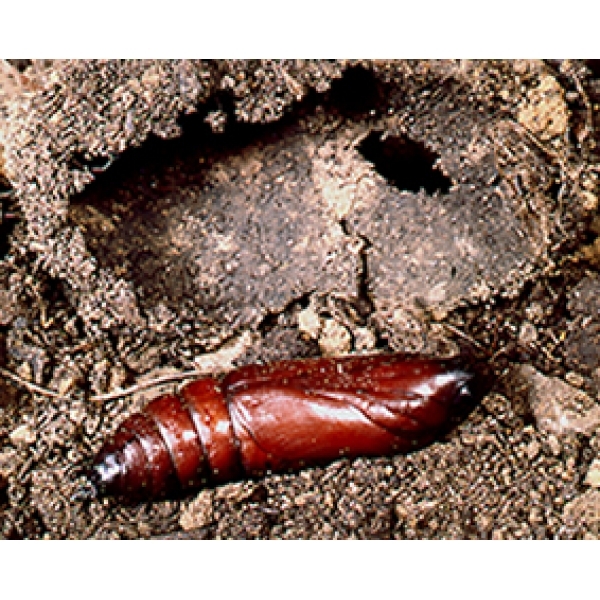 In autumn, to overwinter, bury the pupae in light compost that is not too damp but not allowed to dry out. 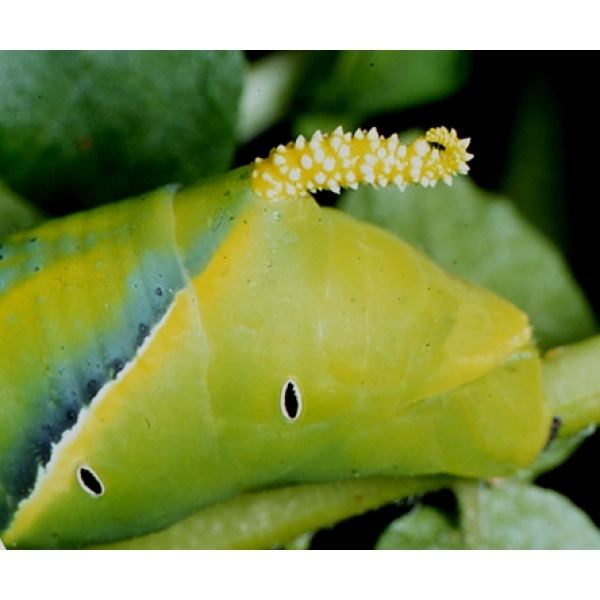 The top of each pupa should be just showing. Store in a cool place (10-15 degrees C) away from predadors. Bring into the warm in April ready for May emergence.